The vast majority of Vietnam’s minorities live in the hilly regions of the Northern part, down the Truong Son mountain range, and in the Central Highlands. About eight million of Vietnam’s current 92 million population comprise 53 ethnic groups divided into dozens of subgroups some with a mere hundred or so members, giving Vietnam the richest and most complex ethnic make-up in the whole of South-east Asia. Ethnic minority groups with members numbering upwards of 500,000 include the Tay, Thai, H’Mong, Muong, Hoa, Dao and Nung. Kinh (or Viet) people make up about 88% of the population. On our motorcycle and motorbike tours through Vietnam, we met 50 groups out of the total 54 and hopefully we will meet the last four groups soon.. The vast majority of Vietnam’s minorities live in the hilly regions of the Northern part, down the Truong Son mountain range, and in the Central Highlands – all areas which saw heavy fighting in recent wars. Several groups straddle today’s international boundaries, spreading across the Indochinese peninsula and up into Southern China. 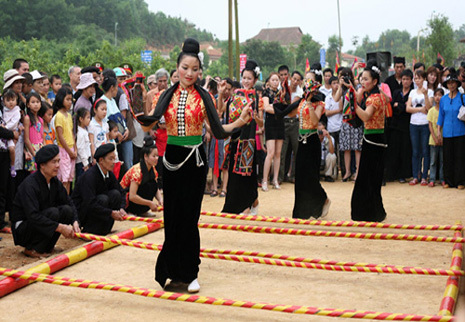 Little is known about the origins of many of these people, some of whom already inhabited the area before the ancestors of the Viet arrived from Southern China around four to five thousand years ago. At some point the Viet emerged as a distinct group from among the various indigenous peoples living around the Red River Delta and then gradually absorbed smaller communities until they became the dominant culture. Other groups continued to interact with the Viet people, but either chose to maintain their independence in the highlands or were forced up into the hills, off the ever-more-crowded coastal plains. Vietnamese legend accounts for this fundamental split between lowlanders and highlanders as follows: the Dragon King of the south married Au Co, a beautiful northern princess, and at first they lived in the mountains where she gave birth to a hundred strong, handsome boys. After a while, however, the Dragon King missed his watery, lowland home and decamped with half his sons, leaving fifty behind in the mountains – the ancestors of the ethnic minorities. 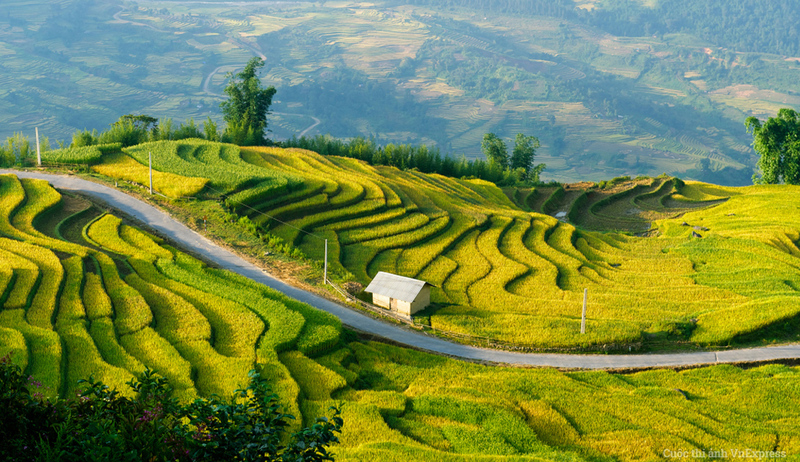 While the ethnic-Vietnamese and Chinese live mainly in urban centres and coastal areas, the remaining people, an estimated 10% of Vietnam’s total population, are found primarily in the high country. Undoubtedly the most colourful of the hill tribes reside in the Northwest and Northeast, in the plush mountain territory along the Lao and Chinese borders, while many of the tribes in the Central Highlands and the south can be difficult to distinguish, at least by dress alone, from ordinary Vietnamese. The French called them Montagnards (meaning ‘highlanders’ or ‘mountain people’) and still use this term when speaking in French or English. Some have lived in Vietnam for thousands of years, while others migrated into the region during the past few centuries. The areas inhabited by each group are often delimited by altitude, with later arrivals settling at higher elevations. Most of the individual ethnic groups share basic, similar traits in their daily lives and are often most easily identified by differences in language, physical features and traditional dress. They have a rural, agricultural lifestyle and show similarities in village architecture and traditional rituals and have a long history of inter-tribal warfare. Many of the tribes are semi-nomadic, cultivating crops such as ‘dry’ rice using slash-and-burn methods, which have taken a heavy toll on the environment. Because such practices destroy the ever-dwindling forests, the government has been trying to encourage them to adopt more settled agriculture often at lower altitudes, with wet (paddy) rice and cash crops such as tea coffee and cinnamon. Still, despite the allure of benefits like subsidised irrigation, better education and health care, a long history of nonconformist attitudes, coupled with a general distrust of the lowland ethnic-Vietnamese majority, keeps many away from the lowlands. As is the case in other parts of Asia, the rich, inherent culture of so many of Vietnam’s ethnic minorities has slowly given way to a variety of outside influences. Many tribes have been so assimilated into mainstream Vietnamese society that very few even dress in traditional garb. Most of those who do are found in the remote villages of the far north, and even there it is often only the women who do so, while the men more typically have switched over to Vietnamese or western-style clothes. While factors such as the introduction of electricity, modern medicine and education do create advantages, unfortunately such evolution has brought about the abandonment of many age-old traditions. A more recent, and perhaps equally threatening, outside influence is the effect of tourism. With growing numbers of people travelling to see the different ethnic minorities, further exposure to lowlanders and a developing trend toward commercialism will likely worsen the situation. In some areas, such as Sapa and Bac Ha, adorable children who used to just stare, laugh or run away at the sight of a foreigner have begun to warm up, often expecting handouts of money or candy.